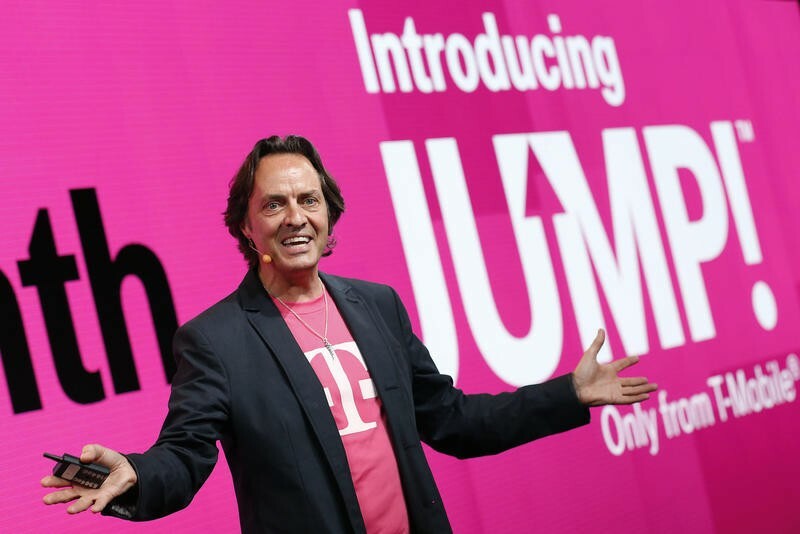 T-Mobile has confirmed upcoming changes to its JUMP! upgrade plan after an internal memo detailing the new rules leaked yesterday. Starting on Feb. 23, customers will be able to upgrade to a new phone as soon as they want instead of waiting six months and the plan will be extended to cover tablets. The catch, however, is that customers will now need to pay off at least half of their current smartphone before jumping to the next one. Previously, JUMP! let you upgrade twice per year after an initial six month waiting period. This meant that if you picked up a new flagship smartphone you could pay off just 25 percent of its value in monthly payments before moving on to the next phone. New JUMP! customers will now be forced to pay at least half the cost before upgrading, though anyone who signs up before February 23 will have the option to stick with the old plan if they prefer. On the upside, JUMP! will soon let you upgrade whenever you want, so if a new phone catches your eye you can pay to upgrade immediately. For most customers, though, the new rules won’t be a big deal since flagships like the iPhone or Samsung’s Galaxy S series, which currently dominate the market, only receive a new iteration once per year.